IT’S TIME TO COMPETE AND SHOW YOUR TALENTS! 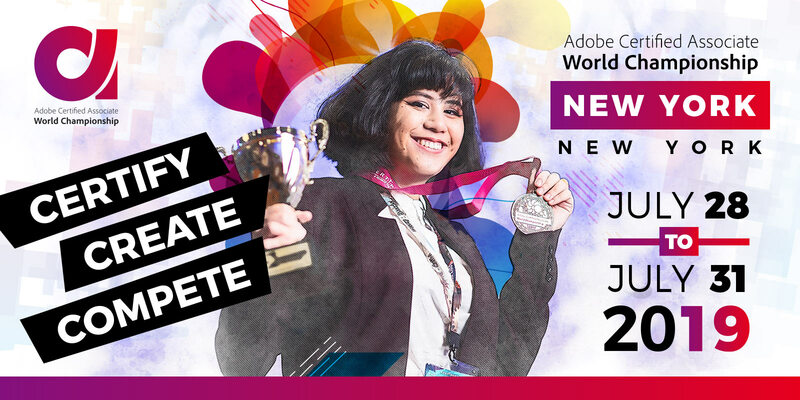 YOU COULD WIN A TRIP TO REPRESENT KENYA IN THE 2019 ADOBE CERTIFIED ASSOCIATE (ACA) WORLD CHAMPIONSHIP. To compete, submit a design project created using one or more of the following programs: Adobe Photoshop, Illustrator, and InDesign by April 30, 2019. To qualify, you must be a student currently enrolled in an approved, accredited academic institution, between age 13-22 (as of June 15, 2019), and have an Adobe Certified Associate certification in Photoshop, Illustrator, or InDesign. Your project submission should demonstrate your design abilities. This can be a project you created in school, or something you created specifically for the Championship. Make sure to upload your design files (all layers included) as well as a .jpg/.gif/.png of your final project. The top three projects will be selected to represent the Kenya in the US late July-early August 2018. If you have any questions, please email GetCertified@tabarinconsulting.com.